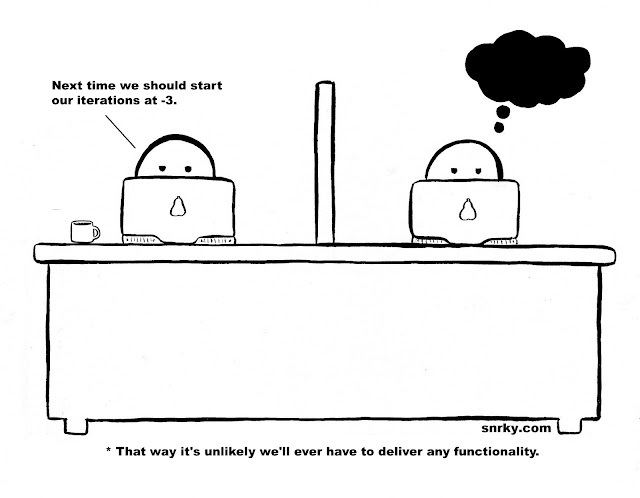 Snrky: That way it's unlikely we'll ever have to deliver any functionality. That way it's unlikely we'll ever have to deliver any functionality. This sounds like something that might come from an 'idea guy', or someone who'd prefer to do as little work as possible while remaining on the payroll. If you happen to carry the responsibility of running a project and would prefer to avoid such things, here's a useful collection of tips on making your developer's lives easier.